Earn more on your hard-earned money with the account that pays you back in high yields, low fees and the latest online and mobile services. Not all debit cards are created the same. 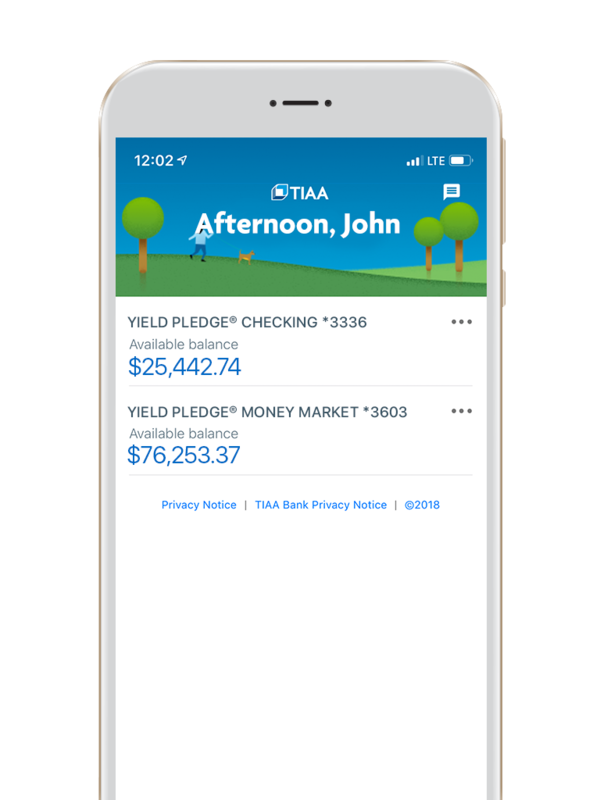 With the TIAA Bank debit card, you’ll automatically qualify for a range of purchase benefits that can help to keep you even better protected. Warranties are great, but sometimes they expire just a little too soon. Now you can get extended warranty protection on eligible purchases that carry a U.S. manufacturer's warranty. Warranties of three years or less may be extended up to one year, while shorter duration warranties of one to six months may be doubled. We all know how frustrating it can be to buy something, only to later see that same thing advertised for less. Should that happen within 60 days of the original purchase date, you can be reimbursed the difference between the purchase price and advertised price of an eligible item, up to $250. When buyer’s remorse or buyer dissatisfaction sets in, return protection can help make things better. If, within 90 days of purchase, you become dissatisfied with the purchase and the merchant will not accept the return, you may qualify for up to $250 in return protection.